My band Linear Sphere will soon be announcing the release date of our second album “Manvantara.” This album follows our 2005 debut “Reality Dysfunction” which was very well received by the international rock press, leading to London gigs in support of Cynic and To-mera. Shortly after a successful start, the band started writing the next album in 2006, with a final blueprint coming together by 2007. At this point the internal writing direction/vision within the band was starting to conflict as the music underwent refinement and ultimately started to move further away from the initial concepts. After nearly a year of experimentation and slow progress, the band became demotivated and ground to a halt, with my good friend and co-guitarist/co-writer Charlie Griffiths leaving to pursue other directions due to some clashes in vision within the band, but nevertheless on friendly terms. The band was reduced to an inactive project for a while, before i decided with the bands support (and Charlie who co-wrote three of the tracks) to build the tracks again using the original structures and blueprints. Since then, i have worked day and night to develop this work to its full potential, engineering the band, producing and playing over the last 2-3 years to achieve the dream of releasing this incredible work. The album features the amazing playing of Nicolas Lowczowski on drums, Steve Woodcock on fretless bass and chapman stick, Jamie Brooks on keyboards and Jos Geron on vocals, with myself on guitar. The album is heavily progressive and unique, with a groove-based fusion rhythm section providing the foundations for a heavy rock/metal/fusion guitar approach, constantly developing with evolving time signatures and unusual harmonic approaches. This music is on the cutting edge and many steps up from our successful debut, it will be worth the wait! . Another feature of our new album, which i’m proud to mention is the amazing contribution by top British actor Paul Darrow, who you may remember played Avon in the famous late 70′s/early 80′s sci-fi Blake 7! Paul came down to the studio in October to record a narration section which sets up the third track of the album, contributing to the lyrical theme which explores mankind’s journey from the legendary times of Lemuria through to modern day, through cataclysms and from advanced civilisation to near extinction, from interference and manipulation by dark spiritual entities to enlightened freedom, this album takes on the theme that we are about to start a new cycle of growth and evolution from a long age of darkness and has been an awesome concept to build the music around. Along with John Papas at Hardbeat studios in Wembley, London, U.K, i have just completed the final mix and we are preparing for mastering this week. 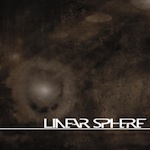 We are also in the process of arranging the final elements of the release such as photos and artwork for the album, a new Linear Sphere.com will be up and running soon as our old site is redesigned for the new release. I’ll be making an announcement on the release date very soon, once the masters are back and manufactured and online distribution is set up. So the next month or so will be busy and i hope once released, that people will enjoy this work as much as i have enjoyed being involved in its creation! This entry was posted on Monday, February 6th, 2012 at 10:38 pm	and is filed under News. Responses are currently closed, but you can trackback from your own site.